Taj Mahal is one of the wonders of the world and a world heritage site located in Agra, India. 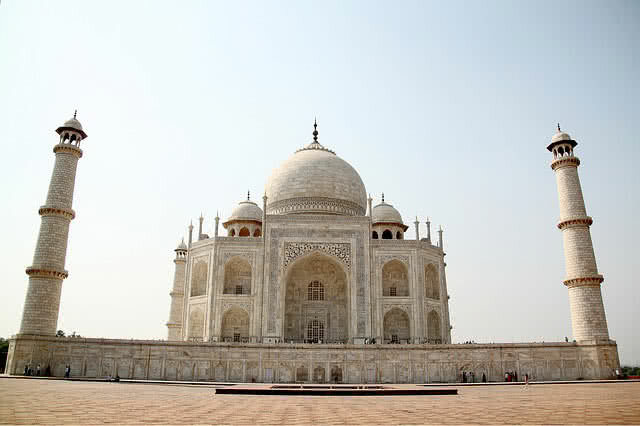 The monument is known as ‘crown of palaces’ and it is considered as world’s most iconic symbol of love. Taj Mahal was commissioned by Mughal emperor Shah Jahan in the memory of his wife Mumthas Mahal.The construction of Taj Mahal started in 1648 and took over 21 years for completion. The over population and industrial pollution causes severe damage to the beauty of Taj Mahal. Brightness of marble itself that makes Taj Mahal to one of most attractive monuments in the world. But marble can’t withstand sulphur dioxide. Both the brightness and structure of marbles varies with effect of sulphur dioxide. Taj Mahal situated is situated in a highly populated area and there are seventeen chemical industries around it. Whenever the sulphur dioxide get mixed with atmospheric moisture formation of sulphuric acid will take place, will settle on the surface of Taj Mahal. Sulphuric acid can made severe changes to marble, make them yellow and flanky and destroy it’s shyness. The chemicals used for cleaning Taj Mahal also put down it’s beauty. It it is continues like this Taj Mahal will close for public in next five years by the Government of India. One of seven wonders of the world. This monument was built by 22000 people, worked for more than 21 years for the completion. Taj Mahal looks in different colors at different time span of a day, pinkish hue in morning, milky white in evening and golden at night. All sides of Taj Mahal are perfectly identical. It is surrounded by mosques and beautiful gardens, situated in 17 hectors of land. The walls of Taj Mahal contain many precious stones. Reflect fusion of Persian, Islamic and Indian architectural styles. Glacier national park is also known as ‘crown of continent ecosystem’ located in Montana state of U.S. The national park is globally known for it’s valleys, lakes and beautiful forests. There are 762 lakes and 563 streams are in total. The national park is also home to number of rare animal and bird species. The melting of glaciers in the national park also lead to forest fire and loss of fresh water. So the ecosystem and rare animal species of glacier national park are in severe threat. Spread across 16000 square miles, largest intact ecosystem national park in the world. Contains 173 mountains, 762 lakes, 563 streams, 23 glaciers and 200 waterfalls. 270 different species of birds make visit to glacier national park in every year. 1132 special of vascular planets and presence of pure water. 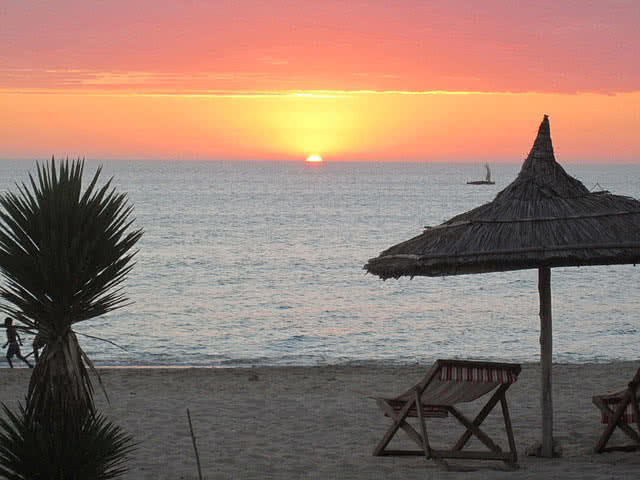 Madagascar is the fourth largest island in the world situated in Southeast Africa in Indian ocean. Madagascar is home to 250000 animal species and 14000 endemic plant species. Madagascar has higher coral diversity and the world’s third largest coral system known as toliara coral system also situated in the island. Madagascar is considered as eighth continent in the world because of it’s unique ecosystem. Deforestation is the main threat to Madagascar Island. The widespread clearance of vegetation from Madagascar causes soil erosion, make completely unfit for plants. Deforestation also results in vanishing of of some nativel animal species and loss of coral system of the island. Illegal fishing and large extraction of charcoal and wood break the balance of Eco system of the island. Scientists estimated that the beauty of Madagascar Island will lost by next 35 years. Home to 14000 types of native plants. Protects 250000 special species of animals and birds. Third largest coral reef system in the world. Madagascar have extensive mangrove coverage in Indian ocean. Congo basin is the second largest rainforest in the world located in Africa. It spread across vast area of 500 acres. Congo basin is spread across seven countries and globally popular for it’s unique wilderness. Nowadays many of activities of men become dangerous threat for Congo Basin.The unsustainable extraction of natural resources such as timbers, diamonds and petroleum from Congo basin causes degradation of ecosystem. The hunting for meat in Congo basin also reduces the number of animal species in the place. The illegal logging, farming and gorilla warfare also put Congo Basin in severe threat. The deforestation in Congo basin increases year by year to meet the demand of wood and charcoal. If it continues two third of forest of Congo basin will lost by 2040. Congo basin is spread across an area of 500 acres. Congo basin is the second largest rain forest in the world after Amazon. Protect large number of mammals, primates, birds, fishes and butterflies. Shelter for all sub species of gorillas. 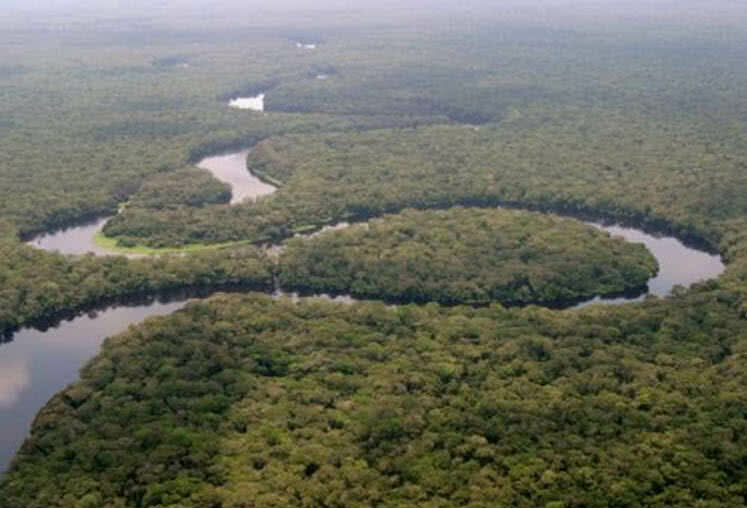 Congo river is the second largest river in the world. The dead sea is actually a salt denser lake near the border of Jordan and Israel. The shores of death sea are 423 meter below sea level, lowest elevation on Earth. 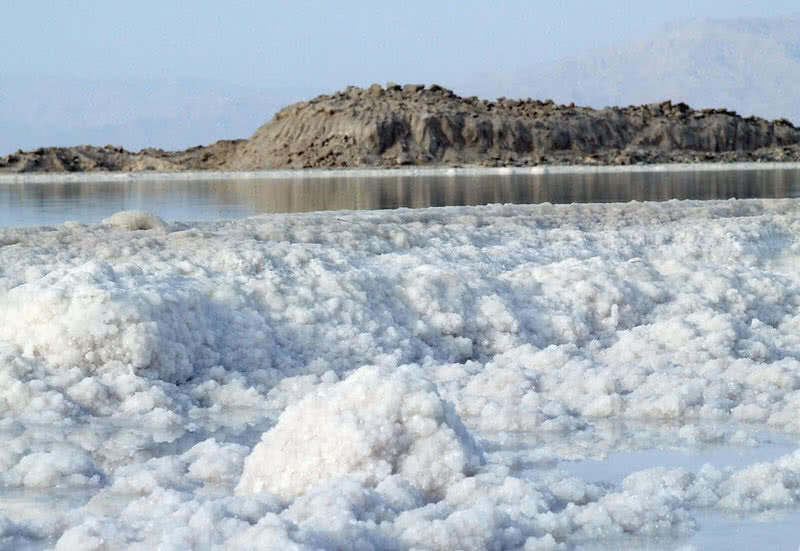 It is also one of saltiest bodies of water in the world with 33.7% salinity. Because of high salt concentration people can float in dead sea due to buoyancy. But in past few decades dead sea shrunk dramatically. The water level of dead seas is dropping down to 4 feet every year. It is estimated that one third of dead sea get shrunk in last 40 years. If it continues the dead see will disappears from the world by next 50 years. The consuming of water by number of chemical industries from Jordan river also limit the flow rate of water to dead sea. It also became another reason for shrinking of dead sea. Dead sea is lake with 33.2% salinity. Can enjoy floating experience in the water of dead sea due high salt concentration. Half a billion migratory birds comes to dead sea every year. Water never flows out of dead sea. Lowest elevation in the world, 1388 feet below sea level. Lowest health spa in the world, salt and minerals of dead sea good for body. Alps the great mountain range in Europe standing at height of 15782 feet. The mountain range can be seen from 8 European countries, Austria, Italy, Slovenia, Germany, France, Monaco, Liechtenstein and Switzerland. It attracts 120 million visitors every year. Avalanches, hot waves and global warming melt down the Alps every year. The deadly European hot waves shorten the size of glaciers in Alps by 20% e. The ice loss in Alps still continues as temperature of Earth’s atmosphere increases every year. Form crescent shaped boundary to Europe. 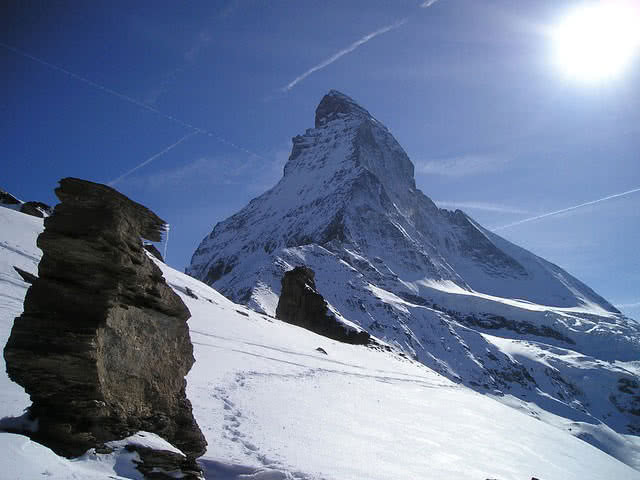 Contain large number of glaciers. Home to 13000 rare species of vegetation and 30000 species of wildlife. Source of minerals like copper, gold, iron, cizzabar, quartz an amethyst. Provide rich source of water. Venice is one of beautiful cities of Italy, connecting 118 small islands by canals and bridges. It is world heritage site and globally popular for it’s architecture and beauty. The city attracts minimum 50000 tourists per day and it is the 28h most visited city in the world. Grand canal boat tour and Carnival of Venice are the major tourist attractions in the city. The surveys indicate that the rise in sea level may vanish the Venice city in next 50 years. The huge tides known as ‘aqua alta’ is the main threat to Venice.The rising in sea level is the source point of aqua alta waves. 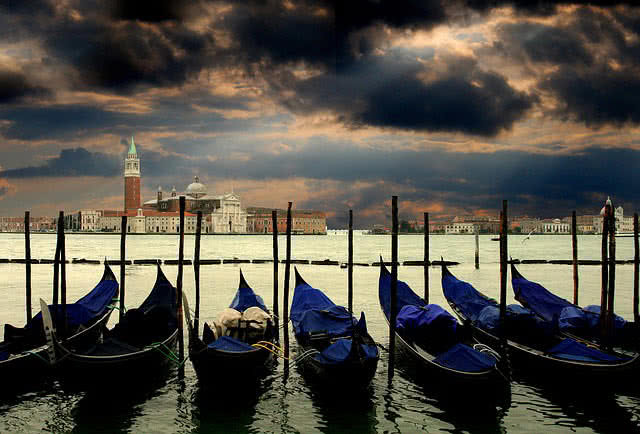 The frequency of floods increases in Venice every year and drowned the lowest islands of the city. There are about 400 foot bridges in Venice that connects 118 islands. Venice is linked together by wooden platforms. Have 7000 chimneys in different shapes and structures. Galapagos are an archipelago of 19 volcanic Islands distributed in equator line in Pacific ocean. The wildlife in Galapagos is extremely domesticated due to absence of larger natural predators. The islands are home to larger number of endemic species including flightless cormorant, blue footed booby, Galapagos seas lion, Galapagos Hawks, giant pink tortoise and Galapagos penguin. Many of inhabitant islands of Galapagos now became over populated by humans. Transportation, hunting, deforestation, other daily activities changes the ecosystem of this cherished islands. The introduced species to Galapagos by humans like goats, dogs, rates are compete with the native species which accelerating the disappearance of many rare species of animals. Massive tourism in Galapagos became another threat. Trekking, illegal fishing, transportation destroy the ecosystem of this place. 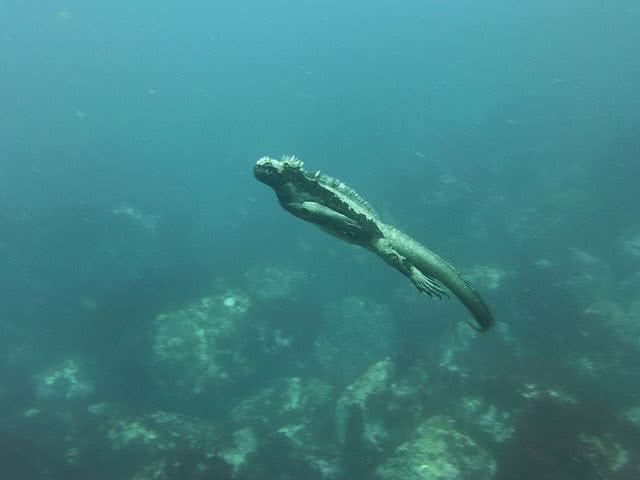 Each year the tourism in Galapagos increases by 12%. Natural threats like volcano eruptions, earthquakes, increase in atmosphere temperature also polluted Galapagos islands. Spread across 600 miles by connecting 19 volcanic islands. Large number of endemic species. Incredible mix of polar and tropic species. Presence of giant tortoises which live up to one year without food. 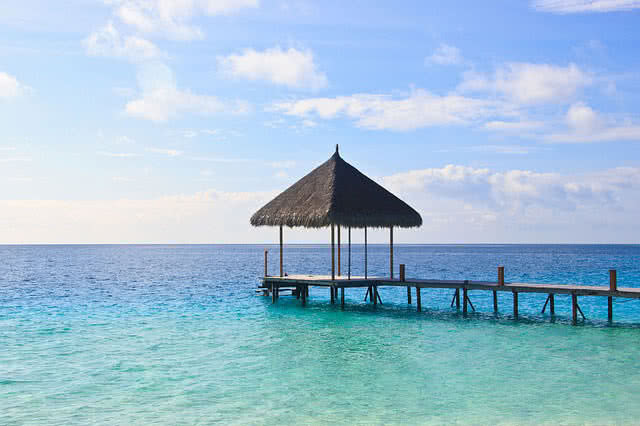 Maldives is the lowest nation in the world, located in Indian ocean. The archipelago connects 1200 islands in Indian ocean. The islands are popular for deep blue seas, white sandy beaches, turquoise reefs. Today Maldives is one of top tourist destinations in the world, attracts half a million visitors every year. The rise in sea level and global warming threaten the existence of many lowest lying islands of Maldives. Many of islands in the archipelago about to be drowned in near future. The ocean acidification through Men’s daily activities also changes the core system of Maldives. President Mohammed Nasheed also put forward a plan to buy places in other countries like India for future home for people of Maldeves. Maldives contain 1190 coral Islands spread over 820 kilometers. Warm deep seas and white sandy beaches. Amazing coral structure and known for underwater sports. Ninety nine percentage of Maldeves islands are covered by water. Great barrier reef is one of the natural wonders and largest coral reef in the world. It comprises 3000 individual reef systems. Great barrier reef is stretching over 2300 kilometers and it can even seen from space. It is home to large number of marine creatures including 1500 species of fishes, 134 species of shark, six species of threatened marine turtles and more than 30 species of marine mammals. Great barrier reef is the most popular tourist attraction in Australia. After Australian government started new ports in great barrier reef for trade the water became turbid and noisy. The project also became a serious threat for many marine species in great barrier reef. Arrival of new coal and natural gas ports within great barrier reef definitely change it’s structure and beauty. Many of man activities leads to ocean acidification. The increase in ocean temperature and tornadoes also destroy the coral structure of great barrier reef. 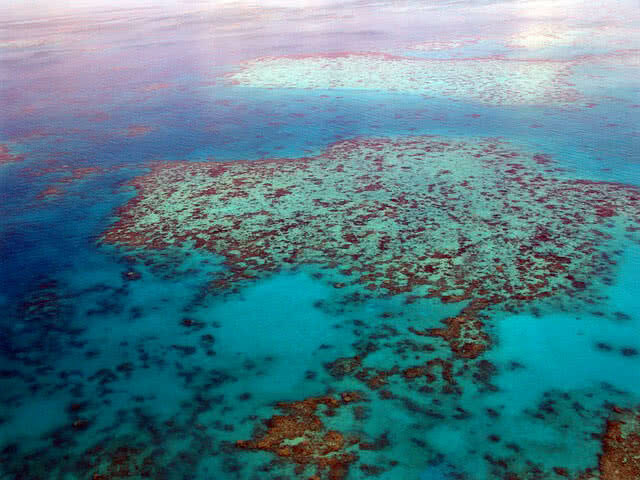 These conditions may result in loss of half of reef systems in great barrier reef in near future. Great barrier reef is world’s largest coral reef, one of the natural wonders in Earth. It is the only living thing in Earth that can be visible from Space. contains more than 3000 individual core system. Greatest under water system in the world.